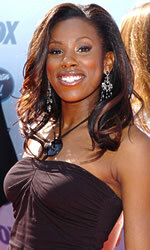 The third place winner on “American Idol” two years ago was Melinda Doolittle. Blake Lewis, the flashy but substantially less vocally gifted contestant beat-boxed her out of the competition. Like all tragedies, this devastated me. The little neck-less backup singer with too much modesty and a heart of gold should have won! I was seriously worried that she’d just fall out of the limelight and go back to singing under the vocals of the likes of Michael McDonald and Aaron Neville. But, there’s good news! She’s signed a record deal with Hi-Fi Recordings! Even better, besides her first major release, she plans on putting out a Christmas album by year’s end. I love Christmas albums. Latoya London, known to her fans simply as ‘London’, came in fourth in a year populated with mostly mediocre contestants but three extremely talented young black females. It was Jennifer Hudson (who came in a shocking fifth that year but still managed to get an Oscar nod for “Dreamgirls”), Fantasia Barrino (who came out the winner), and the lovely Latoya London. Year 3 on “American Idol” was a controversial one. It was the year that Sir Elton John accused the nation of racism for sending the three black and talented ‘divas’ to the bottom three during one week’s show. He was only vocalizing the same shock that every right-minded person felt that week. How could Jasmine Trias be voted safe and Jennifer Hudson sent packing? Though Latoya was genuine vocal talent , America wound up sending the raggedy voiced (I mean that in a good way) and soulful Fantasia Barrino through to the prime position. To be fair, after she performed “Summertime”, she was a lock. But, it’s a shame that Latoya competed in year three. Fantasia was unstoppable and Latoya was just unlucky to be the polished and uninteresting one stood next to Barrino’s hurricane talent and interesting backstory. Really…Fantasia had a love-child at seventeen and broke up with her babydaddy because of physical abuse–now she was looking to make good and give her poor child a better future. London was just a good looking Oakland girl with great pipes who had a comfortable career singing at weddings. Sure she had some step-children, but big deal! Who doesn’t nowadays? Boring! Who would you vote for? I voted for Latoya once and I never vote for these things. That’s how much I liked her. Did you know that when she was little she used to sing all the words to Frankie Smith’s “Double Dutch Bus”? I love that song. Look, Latoya and me, we have so much in common! “Double Dutch Bus” is the song that Missy Elliot samples in “Gossip Folks”, in case you were wondering. It’s also been sampled by Snoop and Hitman Sammy Sam. Smith is also the guy that started that whole izzle shizzle thing…not Snoop…he just borrows it. Anyway, Latoya was smooth as chocolate pudding and hot to boot. Nothing wrong with that combination. Happily, she did go on to cut a record (eventually). She’s currently working on her second one. Ironically, while Fantasia went on to star in “The Color Purple” on broadway, Latoya landed the gig in the touring company. Always a second fiddle! Still, she did get positive write-ups and at least she’s working. Here’s her showtune week video which was also her swan song. She’s toe to toe with Barbara Streisand and top of the world–right before her parade gets rained on. Really, Latoya is one of about a dozen people from the last seven seasons that I thought were worthy contenders. I’ve often wondered whatever happened to postwoman Vonzell Solomon. She came in third during year four. She’s the CEO of her own record company now and you can buy her single on Itunes, apparently. Still, it’d be nice if she were a bit more visible now. If Josh Gracin can do it, why not her? Anyway, here’s to all those shoulda-beens. Hope I can buy your Christmas album soon. I’m not sure how many of you have been keeping up with the Melinda news, but for those of you that haven’t please read on. This past week Melinda finally finished the vocals on her CD! All of that happens quickly then we will see her CD on shelves this Fall! Also, keep your eye out for her first official single that should be hitting airwaves in the coming weeks. Melinda is going to be throwing a lot of music at us in the coming months so get ready! New website to support Melinda Career http://www.mdstreetteam.com Come join us. We have new update post by her. You get ‘cool’ points for using the beautiful photo of Melinda from her iTunes/Amazon.com release of My Funny Valentine; but you loose some of them with that appearance remark! You seem reasonably intelligent – what gives? No matter, Melinda has proven that ‘haters’ may live in cyberspace kingdoms but the human race is where she lives and thrives and is very well-loved. Sorry to offend where none was intended. Long neck or short neck, she’s still lovely. Look at that face! That you for letting us post about our favorite singer. Without this site, it would be really difficult to share the latest news about them. 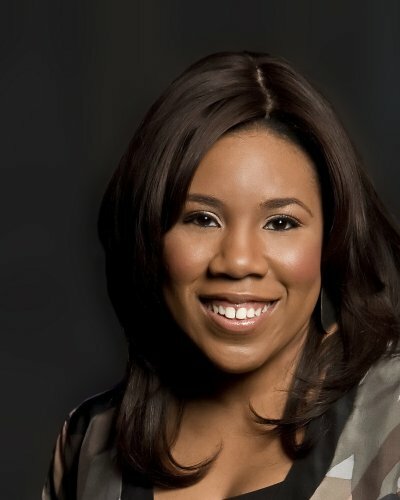 FREE SONG FROM AMERICAN IDOL’S MELINDA DOOLITTLE! GO TO http://www.melindadoolittle.com and get it NOW – FREE! New album released on February 3, 2009! Don’t miss it! Most excellent! I’ll give it a listen.